This Acewell fuel sender installs into your fuel tank from above. You need to make a circular incision in the top of the tank and fasten the sender to the outside of the tank. The included waterproof seal will prevent fuel leakage. The tank will read 'Empty' when the float is at full extension, 128mm from the top of the tank. 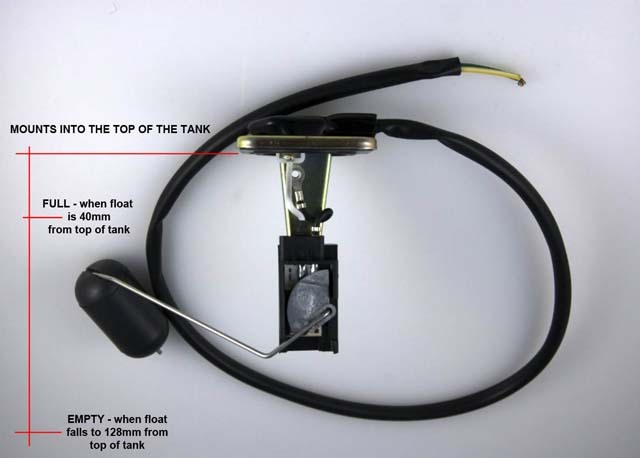 The tank will read 'Full' when the float is 40mm from the top of the fuel sender. At full extension the top of the float will be 155mm from the top of the sender, however, the float position can be adjusted to suit the shape of your tank by bending the float arm. This fuel sendor has a 100 ohm output. 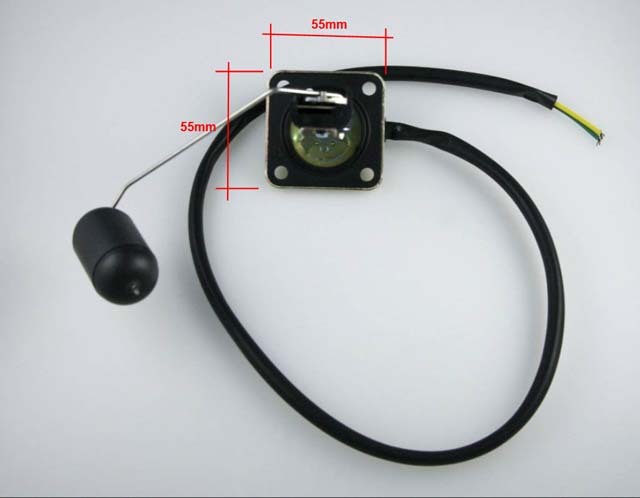 It and is compatible with all Acewell meters and any other fuel meter that accepts a 100 ohm input.